Dundee is surrounded by beauty as it spreads north along the Firth of Tay, plus it’s known for being friendly and for having some excellent museums. 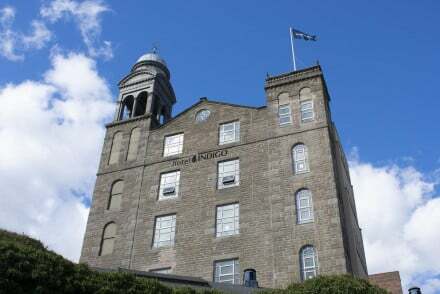 If you’re here to see the sights then of course the best places to stay in Dundee can be found in the centre of town, but if you’re using Dundee as a base for the Highlands then you’ll find some of the best properties on the outskirts of town. London’s V&A Museum is in the process of opening a branch here on the waterfront around Discovery Point, which is also home to Captain Scott’s famous polar exploration ship the RRS Discovery, on display beside a fantstic visitor centre. Dundee’s other famous museum, Verdant Works, is an impressive industrial museum based around Dundee’s jute industry - part of Dundee's history. Dundee has a truly ancient cemetery at its heart, The Howff is on land gifted by Mary Queen of Scot's. You must vist an extinct volcano with a war memorial on the summit, The Law, for the very best views of Dundee and the Tay. Broughty Ferry castle and a wonderful public observatory with a papier-mâché dome. You’re also close to St. Andrews, the ancient university town, probably better known for its Royal and Ancient Golf Club and Course, and some seriously dramatic terrain in the Glens and the Highlands. Our pick of the best places to stay in Dundee range from a chic city centre pad to a refined B&B on the outskirts of town. 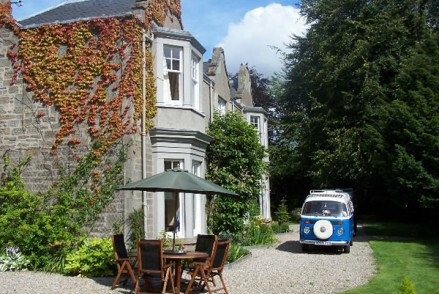 Balmuirfield House is a five bedroom B&B on Dundee’s outskirts with a luxurious feel and delicious Scottish breakfasts. Perfect for romantics, and golf lovers and a great base for exploring further afield. Malmaison Dundee’s bar and restaurant, as with the rest of the Malmaison chain, is full of bright young things plus the rooms are comfy with luxurious feeling bathrooms. Even better, doubles start from only £65 per night. 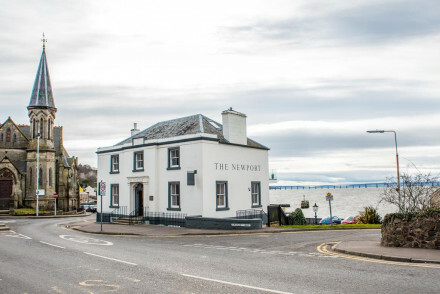 The Newport Hotel - It's worth visiting this chic little restaurant with rooms on the banks of the Firth of Tay just for the food. The fabulous sunset views over the Tay Bridge are a free bonus - and the bedrooms are delightful. If you'd prefer a self-catering option this holiday - don't hesitate to visit our online partner Booking.com for a great selection of properties perfect for exploring the city. Visitors can fly to Dundee Airport, although it's small and only has connections to London Stansted. You might be better flying to Edinburgh Airport located 98km (61 miles) from Dundee and served by a wide range of domestic and International carriers. Alternatively, catch the train to Dundee with rail links to Edinburgh, Glasgow and London amongst other destinations. Best time to visit - although it's a year-round destination, the summer months from June to early September provide typically the nicest weather for enjoying nearby golf courses and the Highlands and Islands. Comfy bedrooms, gleaming bathrooms and good, buzzy restaurant full of bright young things. 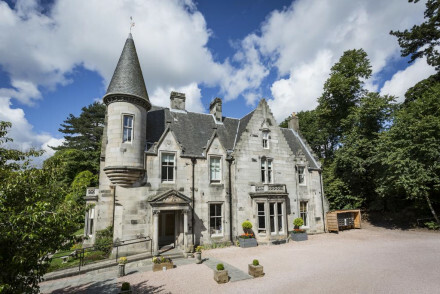 Victorian villa turned B&B on the outskirts of Dundee. Five bedrooms feature antique furniture and are adorned with sumptuous fabrics for a luxurious finish. Delicious Scottish breakfasts are served around a communal dining table. Great for a romantic break & ideal for golf lovers. Baronial mansion-house oozing with character and set in some wonderful grounds with magnificent views of the Tay. 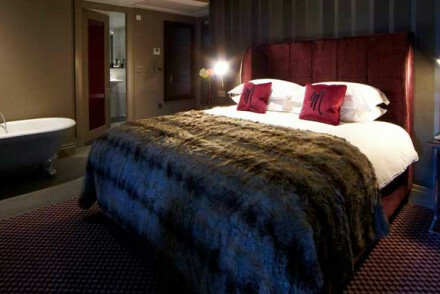 A wide range of contemporary, chic rooms and suites. Cafe/restaurant stocked with delicious home baking and atmospheric gin bar. Perfect for exploring Dundee or a relaxing break. Sights nearby - Enjoy great days out in Dundee at Discovery Point or venture further out to Scone Palace. Views - Fantastic views across Dundee and of the Tay.